Take Home Message: Increased hip adduction during stance phase of Trendelenburg gait contributes to excessive knee joint loading. Weakness of the hip abductors is implicated in increased knee joint loads, which can be quantified biomechanically using the knee adduction moment (KAM) and has been observed in patients with knee osteoarthritis. This weakness has been associated with contralateral pelvic drop during gait, and is theorized to result in increased KAM. Therefore, the authors’ purpose was to examine the effects of a contralateral pelvic drop gait on the magnitude of KAM, as measured by peak KAM and KAM impulse, within a healthy cohort. Fifteen healthy adults with no recent history of musculoskeletal injury were recruited to participate in the study. Participants were instructed on how to complete a contralateral pelvic drop gait pattern and encouraged to practice until motion was mastered. The principal investigators and two physical therapists verified successful adoption of pelvic drop gait based on visual observation and clinical standards. Participants were instructed to avoid leaning the trunk over the stance leg or altering sagittal plane kinematics during pelvic drop gait trials. Average self selected-speed was measured using the GaitRITE walkway for reference during the experimental trials. Participants completed a five-minute warm-up per condition while walking barefoot on an instrumented treadmill, which was adjusted to their average self-selected speed. Three gait trials lasting 20 seconds each were collected for both the typical gait pattern and contralateral pelvic drop gait pattern. Contralateral pelvic drop trials that were deemed unsatisfactory by the principal investigators and the physical therapists were excluded from analysis. Lower extremity kinematics was captured concurrently using three-dimensional motion capturing system. Peak KAM and KAM impulse were significantly higher during contralateral pelvic drop gait compared to typical gait. A strong and significant relationship existed between changes in KAM and changes in frontal plane hip kinematics. A greater change in pelvic drop or hip adduction was related to a greater change in peak KAM and KAM impulse. 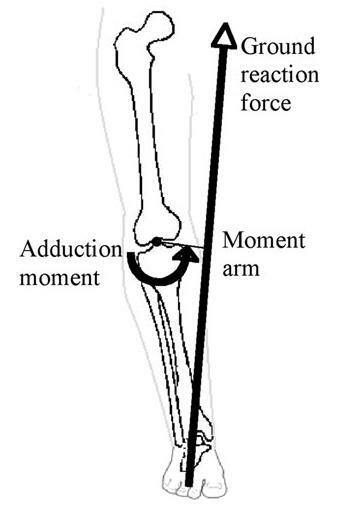 Authors observed increased knee joint loads as a result of the decreased hip abduction (contralateral pelvic drop gait). By investigating within a healthy population, the authors effectively isolated the effect of frontal plane hip mechanics on knee joint loads while controlling for potential confounders common to pathological populations. The authors further controlled for medial-lateral trunk sway, and sagittal plane lower extremity mechanics, which could also affect the magnitude of medial compartment loads experienced during stance. 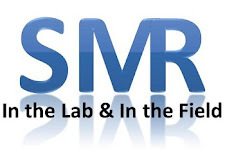 Study results implicate weak hip abductor muscles in the abnormal knee joint loading observed during pelvic drop gait. Although the study was conducted using a healthy sample, evidence implies that the use of hip strengthening might be an effective method for gait modification. Clinicians should however still evaluate patients individually to determine appropriate intervention strategy. The results from this study suggest that a threshold exist regarding frontal plane hip function and knee joint loading. Further investigation within symptomatic osteoarthritis population is needed before widespread adoption in clinical practice can be recommended. Questions for Discussion: As clinicians, does your initial assessment include a gait screening to aid in identifying the appropriate intervention? How often do you observe a Trendelenburg gait?